Now re-log in again, and that’s all. Via: Originally found in Bernaerts blog. 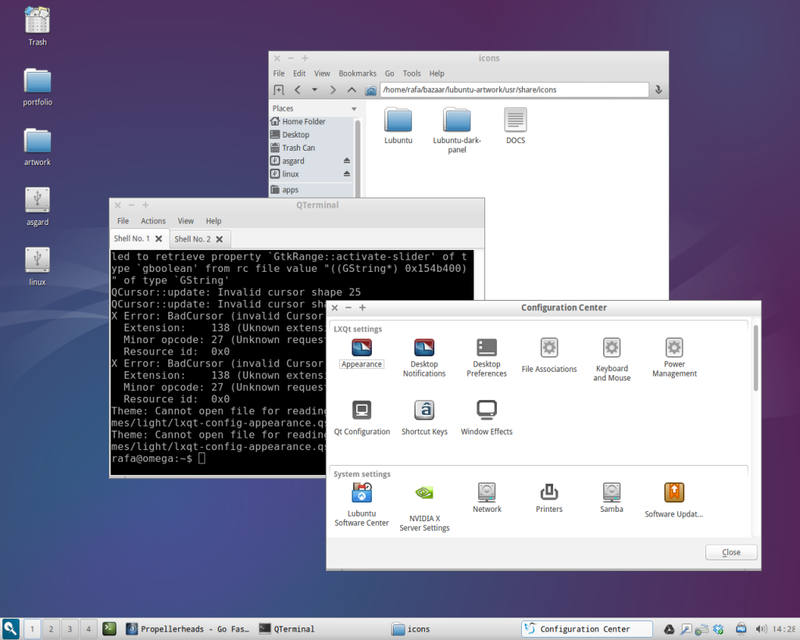 Soon in Lubuntu repositories. More info here. It’s known that system admin tools for LXQt were lacking. This is no longer true. A new component lxqt-admin landed int our git repo. Please see the screenshots. 🙂 These are “desktop-independent” pure Qt tools based on system-tool-backends. 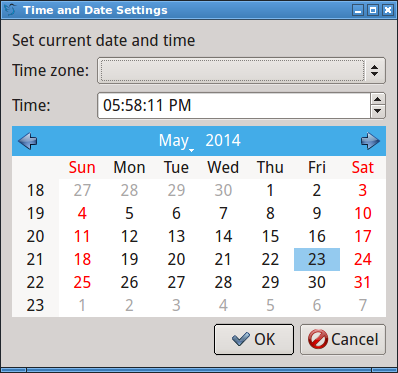 lxqt-admin-time: Tool to configure date and time. lxqt-admin-user: Tool to manage users and groups. We know that LXQt is not good enough, but it will getting better and better. Long live LXQt, the classic desktop! The guys from LXQT desktop (formerly Razor-QT) are finishing all details to make it usable and stable. The new desktop is able to do common tasks, using the file manager and configure the look and feel (even I’ve had some troubles to enable Box theme). But this promises to be a great desktop, and fast. One polished the RAM consumption (see LXDE blog for details) the DE will be ready for everyday’s use. I doesn’t look so bad, does it? What do you think about adding a QT session to Lubuntu? All this will be upgraded via GIT and Lubuntu will take benefit of this effort. Congratulations, PCMan, for your great work! The QT version of OBConf is ready. 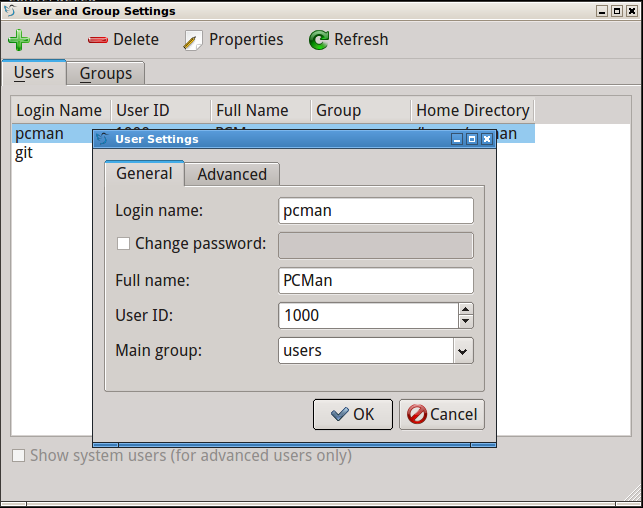 PCMan has ported using the QT libraries to match the LXDE-QT or the upcoming Razor-QT desktops. There’re a few things that do not work, such as font settings, dock settings, theme previews, etc. Anyway this app is almost fully functional. One of the office components has been updated too. This version improves the support for Open Document formats and Microsoft Excel. 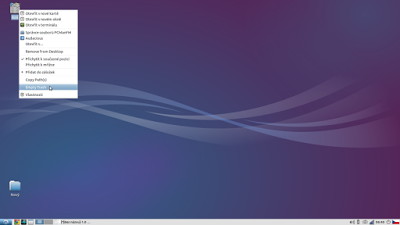 Lubuntu includes now 1.12.4 and it’s supposed that this update will be ready in a few days and our systems will be upgraded. PCManFM is arriving “dangerously” to 1.0 final (now it’s jusrt a release candidate). A lot of improvements within, like external thumbnailer support, new file attribute dialog, support for modifier keys on drag and drop, symbolic link creation, individual wallpapers per desktop and documentation. See the changes and download (if you like to compile by yourself). Or wait for Lubuntu repos update. It won’t be too late. Some weeks ago we gave you 0.5.9, this time some changes has been made to the plugins distributed with LXPanel and thus we put a new version for your feets. Given the translation status in this release a new version is very probably coming out soon as most languages did not get their strings to 100% done. 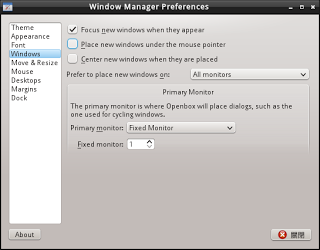 And the best, automatically passed through the GIT to the Ubuntu general repos., so this time you don’t have to wait. Also, small updates on PCManFM and its libraries also happened today. Great news, indeed. Thanks, brother, for the info.